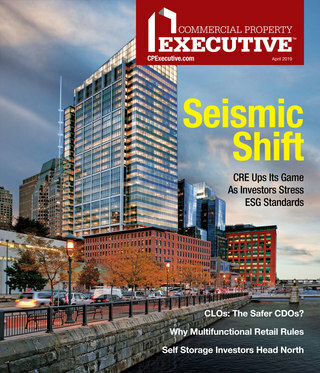 Liberty Property Trust chief information officer Steve Messaros spoke with CPE editorial director Suzann D. Silverman about the integrated, corporate-level approach the REIT has taken to its business strategies, and in particular how technology and real estate work together. The office and industrial property company introduced a scenario-planning strategy in 2007 in which it began considering and planning for possible futures, a process it revisited last year. Q. What initiatives have come out of your review of your scenario-planning strategy? Another is our ability to communicate in the organization—how we communicate and collaborate is a key factor for how we succeed, and IT plays a tremendous role in facilitating this. The third that requires IT investment and support is asset management: constantly improving our ability to manage our assets to produce the highest-possible returns in the long term. Along the same lines, operational efficiency is a key success factor for us; it is imperative that we operate efficiently as we grow, and IT plays a large role in this. Talent management—making sure we have the human capital we need—is another success factor. And finally, since the entire reason for our organization’s existence is to provide valuable real estate solutions—what we call extraordinary work environments—to corporate America, we need to be constantly in consultation with, learning from and educating a large number of tenant customers. This requires internal and external communication strategies and technological tools from us. We truly have a crucial role to play in virtually every aspect of our company’s operations. This makes having an R&D function particularly important, and I think it could be a future key success factor. We are just starting to dip our toe in the R&D water, but I think that could be one that’s really important to get right very quickly. Q. Are you striving, with what you’re putting in place, to make them more flexible so you can shift them as technology evolves further? of my mind, that we need to be prepared for. Q. R&D relative to anything specific or at a broader level? A. It’s both broad and specific. Significant technologies are all coming into vogue and down to the Main Street level very quickly—the combination of unified communications, 4G and cloud is incredibly significant and potentially will have a huge impact on the way we work … how (office buildings) will be built out, and what will succeed and not succeed in the future. So for me it’s much more about the technology. I mean, there’s always the market and the demographics, and there will always be a need, but is there something significantly going to change in the office area that we need to be aware of? I think there is, and the more armed we are with knowledge, the better off we’ll be and the better the decisions we’ll make today (for our) real estate. Q. Are you striving, with what you’re putting in place, to make them more flexible so you can shift them as technology evolves further? Liberty Property Trust is considered one of the leaders in the sustainability movement among real estate investors and owners, and you mentioned it as one of your initiatives. What are you doing in regards to sustainability? Phase II is a 10-building project where we’re testing and trying to understand what brings the best value. … Is it motion sensor lighting? Is it HVAC controls? … Is it daylight harvesting? Is it simply monitoring the energy profile for a building? Submetering the space for each individual tenant? What is it that drives and provides the best business case for investment? Because we’re trying to take that 10-building project and extrapolate those results across the rest of the portfolio, and we really need to understand … what gives us the quickest turnaround, what’s the best return on our investment. Q. You said it’s more art than science. Do you see it ever becoming more of a science? A. I think there are some technologies out there still in the formative stage, where you could begin to look at … just how many people come into the building, when do they come into the building, where do they go, how does the traffic move throughout a building—trying to understand how all of that fits into HVAC and lighting. Obviously, you can have lighting and you can have motion sensors, and that’s relatively simple, but the motion for one person versus 10 people versus 100 people. That’ll begin to scratch the surface of the kind of information that we’re going to need if we’re really going to have smart buildings. Q. What types of capabilities do you now include on your IT team and how has that changed? A. IT has always been a great resource to translate things. Typically, it’s trying to translate technology into business applications … and explain it to a seasoned business individual. The same thing holds true in building initiatives, where you’ve got people that are very comfortable talking about building automation systems and LON and BACnet, but that’s not a typical lexicon for an IT or technology individual. We ended up going out to our property management group (in 2006) and pulling in a director of portfolio technology (Fred Dougherty) that was very, very well versed in building technologies but still had a lot to learn about IT. We embedded him in the IT group, so he was able to both teach us more about building technologies and learn some of the principles that we apply in IT and marry those two. And now, he’s a great bridge for discussions with the field when it comes to the individual property managers and being able to talk the property management talk while at the same time translating the technology piece. Q. Do you see more real estate companies bringing in executives from outside IT to run the department? A. I think you’re seeing a lot more heads of IT that don’t necessarily have a technology background, that come from the business. … My background is accounting, finance, and it’s not technology. Back in 2003, when I was put in charge of the IT function at Liberty, there were very, very few people that weren’t very technology oriented. Very, very bright people, but they didn’t necessarily know a whole lot about real estate; they knew a lot about technology. I think that pendulum is swinging to real estate first, technology second. Q. CoreNet Global for a while has been pursuing a concept of integration in corporations of the real estate, IT and HR departments. 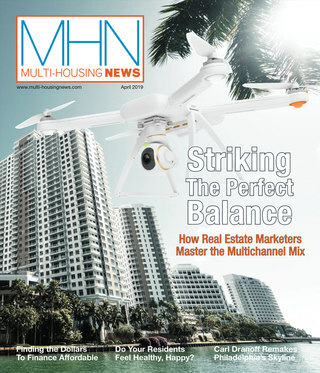 How do you see those efforts being applied among real estate companies? A. Tying together real estate and IT has been happening at Liberty for quite some time, but the combination of HR into that mix is something of relative recent development here. (About three years ago) we had a new (head of HR) brought in, a woman by the name of Caren Hosansky, who has really pushed the agenda of change management and how important that is to the ultimate success of a project. And managing expectations of all the different stakeholder groups and trying to understand what the motivations are behind each one of those stakeholders, because generally they’re all different.